David A. Herman | Giffin, Winning, Cohen and Bodewes, P.C. David A. Herman is an experienced civil litigator who has represented clients in complex litigation in both state and federal courts. In his 24 years of practice, David has handled hundreds of cases in Illinois state courts, federal courts, and before administrative agencies involving diverse areas of the law, including: Illinois procurement contract law, Illinois election law, Illinois residential real estate disclosure law, products liability law, health law, commercial law, constitutional law, construction law, municipal law, employment law, real estate law, administrative law, warranty law, outdoor advertising law, insurance coverage disputes, personal injury, tort, fraud, property damage, insurance defense, contracts, tax, business disputes, and replevin. These cases vary in value from small claims cases to cases involving contracts worth billions of dollars. Additionally, from November 2003 to the present, he has been a part-time administrative hearing officer for the City of Springfield Illinois. He has ruled upon hundreds of ordinance violation cases. In his capacity as a hearing officer, he oversees and conducts public evidentiary hearings, makes factual and legal liability determinations, and enters orders relating to alleged violations of the municipal parking ordinances of the City of Springfield. From November 2004 to the present, he has been a part-time administrative hearing examiner for the Illinois State Board of Elections. In his capacity as a hearing examiner, he oversees and conducts public evidentiary hearings and makes factual determinations, drafts legal orders and recommendations to the State Board of Elections relating to alleged violations of Illinois election laws including violations of campaign disclosure requirements and challenges to the legal sufficiency of nomination papers submitted by political candidates. David also represents clients before Illinois regulatory agencies and monitors agency regulations and rules. 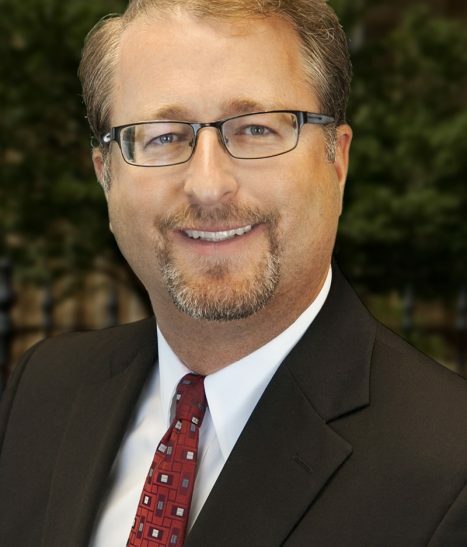 He is a registered lobbyist with the State of Illinois engaged in a government relations practice representing clients before the Illinois General Assembly, including drafting, reviewing, and analyzing pending and proposed legislation. Represented a defendant physician in litigation initiated by former inmate of state corrections system involving alleged violations of 42 U.S.C. 1983. Successful of obtaining dismissal of physician from litigation. Represented a business in litigation involving breach of contract, breach of personal guaranty, unjust enrichment and enforcement of security agreement. Successful in obtaining judgment on behalf of plaintiff. Representing a business in a declaratory judgment action involving installation of tile in a private home. Successful in obtaining dismissal of client as a respondent in discovery. Former Membership Committeeman, Downtown Springfield, Inc.
Former Board Member, Route 66 Events, Inc. Member of Sangamon County Bar Association. Served as President of SCBA in 2009. Served as President of Young Lawyers Division of SCBA in 2001.